Temperature sensing is a relatively mature technology, but it is not without its problems. For instance, a sensor’s characteristics can change over time this is known as drift so readings become less accurate. They can also break and give completely wrong readings, which can be catastrophic for product quality. A large body of research has focused on improving the reliability of temperature sensors, while other developments have sought to make measurements in places or at times that would have previously proved impossible, such as monitoring the temperature of an article in transit. Most thermometers use one of three types of ’contact’ sensing technology: thermocouples, platinum resistance thermometers (PRTs) or thermistors. But owing to an increased level of understanding and a lower cost, non-contact sensors, including thermal cameras, are now being used increasingly. For most situations, the best sensor to use is a thermocouple. This sensor comprises two dissimilar metal wires joined at the tip and a readout unit, which measures the voltage generated by the sensor and uses it to calculate the temperature. Thermocouples are relatively cheap and versatile and typically have an accuracy of within a degree up to 100°C, with a widening uncertainty up to 1,000°C. Thermocouple wires are generally packaged inside a metal tube and insulated from each other with plastic or glass fibre (for low temperatures) or ceramic (for high temperatures). The sensors are available packaged for specific measuring applications, such as determining the temperature of pipes, food or surfaces. An alternative to the thermocouple is the electrical resistance sensor. A PRT sensor is a thin platinum wire whose electrical resistance varies approximately linearly with temperature. A thermistor sensor consists of a bead of metal oxide whose resistance varies in a highly non-linear manner. In each case, the temperature is determined by a readout unit that measures the electrical resistance of the sensor. In general, PRTs offer better accuracy and stability than a thermocouple over the range -100°C to 500°C, while thermistors offer greater sensitivity but over a more limited temperature range. Where objects are so hot they would destroy ’contact’ sensors, or where objects are moving, such as on a production line, a pyrometer is a good choice. This measures the thermal radiation emitted by an object to determine its surface temperature. They can work from -40°C to greater than 2,000°C, and can be as accurate as a contact sensor. The uncertainty of measurement depends on the surface finish of the object shiny objects are very difficult to measure. More recently, thermal cameras consisting of an array of thousands of pyrometer sensors have become available for less than £1,000 and open up a new way of viewing the world. All these sensors have been developed to solve particular measurement challenges. For example, button-like sensors can be placed in a package where they will record the temperature at preset intervals and provide a data readout on arrival. Sensors can even be built into food labels to ensure that a package, such as one containing raw meat, has not been warmed beyond a specified temperature for more than a preset time. Temperature sensors are also used in networks to monitor changes over large areas. The biggest example is the network that monitors the Earth’s temperature, consisting of more than 10,000 sensors around the world held in Stephenson screens (slatted boxes standing 1m off the ground). Originally used for short-term weather prediction, their data has been re-analysed to help us understand the impact of climate change. The network analysis inter-compares sensors to find anomalous readings. But how well can such measurements be trusted? This is a challenge the National Physical Laboratory (NPL) the UK’s national measurement institute has been addressing since its foundation in 1902. As all temperature sensors change over time, it is essential to check for drift, either by inter-comparing multiple sensor types or by regular calibration at a UK Accreditation Service (UKAS) laboratory. At NPL, thermometers are checked at ’fixed point’ temperatures those at which a pure substance freezes. NPL has also produced thermocouple sensors that can ’self check’ by integrating a small sample of a pure metal. The thermocouple can be checked by heating it sufficiently to melt the sample and checking the reading matches the known melting point. At very high temperatures, pure metals rapidly react and become impure, so NPL uses combinations of pure metals and carbon to form what is known as a eutectic solution a substance that melts at a single temperature. When sealed in a graphite crucible, these devices create reliable fixed points up to 2,700°C. 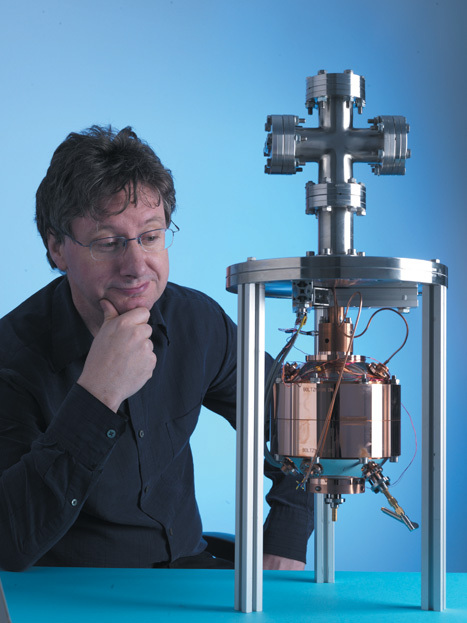 NPL has now built what it believes to be the most accurate thermometer ever constructed. 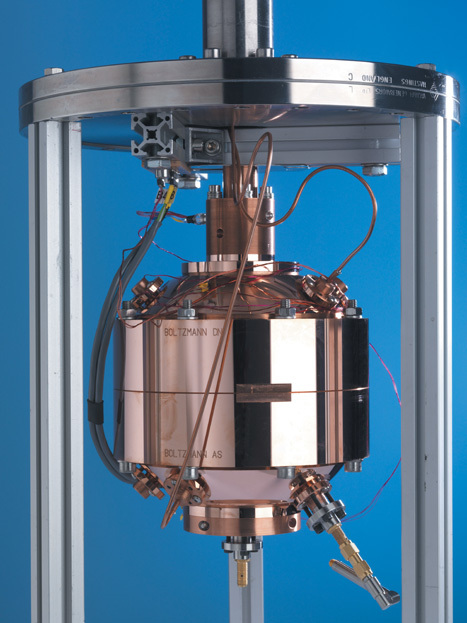 The NPL Primary Acoustic Thermometer measures the speed of sound in a gas inside a spherical copper resonator. The speed of sound depends on the speed of the gas molecules, which is linked directly to the fundamental definition of temperature. This is work that NPL hopes will underpin all the temperature measurements carried out in the UK by business and government every year.